Moka is not only a classic surfcamp, designed for beginner surfers. 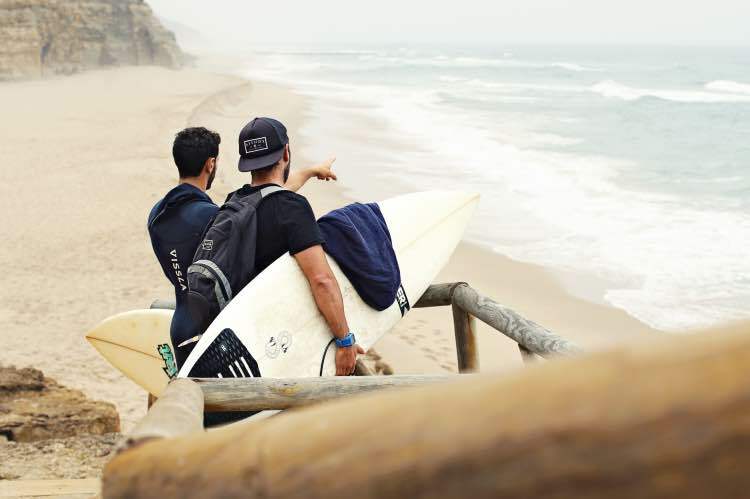 Here you will find an expert guide ready to show you the best spots of Ericeira World Surfing Reserve and, if the conditions will require it, to organize daily surf trips throughout all the central coast of Portugal. If you already are an independent surfer and if you want to surf always the best waves, this is the service tailored for you. In Moka you will also find a special skate ramp: a wooden wave that you can surf any time you want with the Carver skateboards. On our wave in the garden you can warm up before your sessions or try and try again that maneuver you have always wanted to do in the water. to intermediate and advanced surfers. to get the most of your holiday! 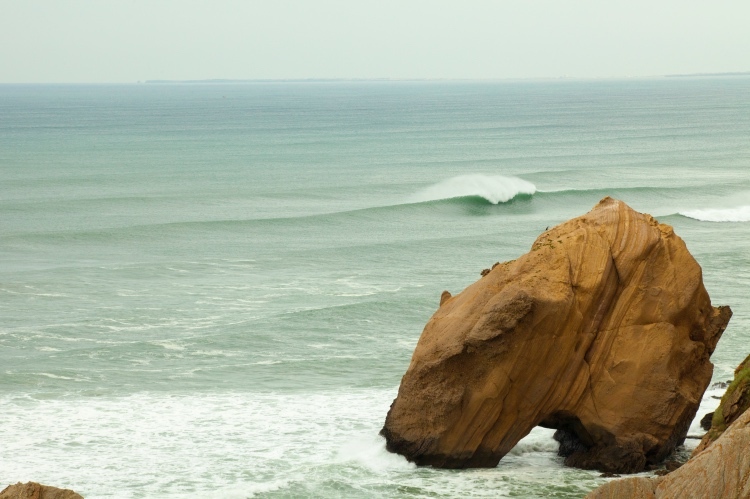 The knowledge of the area with its peculiarities and its secrets is crucial for a surf trip. We’ll take you twice a day to surf in the best spots of the area according to the forecast and to your level. We’ll ensure you are in the right place at the right time! The correct reading of the forecast is the first step for a good day of surfing. 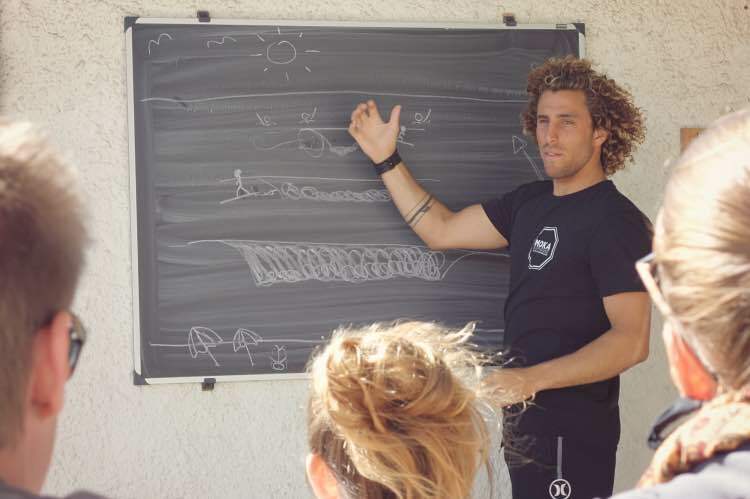 Before each surfguide we’ll check together the weather conditions and we’ll teach you how to understand the wide combination of winds, swells and tides. Every spot is different. Before to paddle out we’ll explain you how to read it in the best way and, if you are not already an advanced surfer, we’ll show you how to handle its dangers and respect the surf etiquette. Never stop riding, the wave is also in the garden! It is made in wood, always in the sun, with a soft transition but still steep in the right places. And it is always glassy! We built it in order to be used with the latest generation of skateboards that faithfully reproduce the lines of a surfboard in the water. You can try, understand and assimilate exactly those movements and those maneuvers that are so difficult to learn on real waves. Plus our wave is great with any kind of swells, winds and tides and we can never stop riding!